Love pineapples? 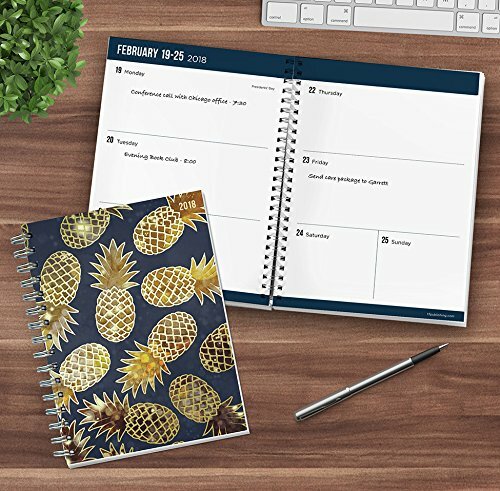 This Pineapples design of blue and gold makes planning fun and easy with this 16-Month weekly/monthly planner. 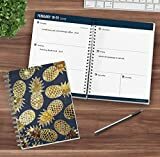 This simple, medium, 6.5″” x 8″” planner boasts monthly, large, unlined grids for planning out an overview of your month ahead. Following the monthly pages are weekly spreads of ample space for daily planning. 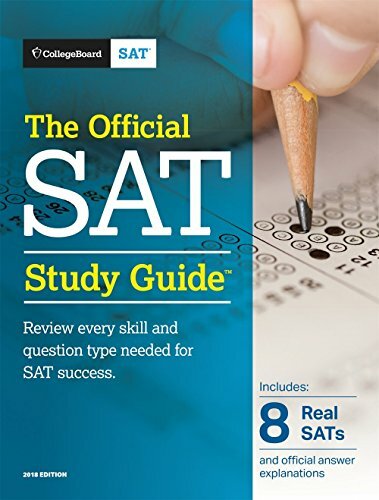 Bonus year at a glance page in the front and notes pages in the back. 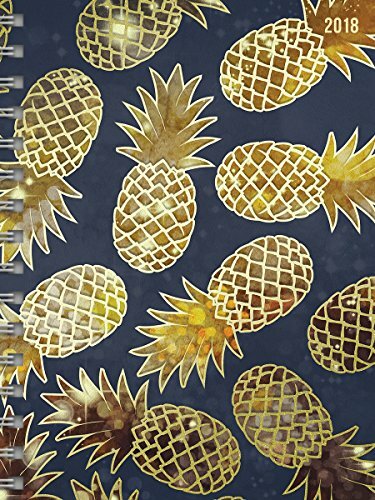 Planner is wire-o bound with durable front and back covers made of premium, textured paper. This 16-Month planner covers the months of September 2017 – December 2018.